With experience at several different teams as race engineer, Ciaron Pilbeam put his experience and qualifications to work at the McLaren squad as Chief Race Engineer up until the end of the 2016 season. For 2017, he joined Renault, where he had previously worked when they were called Lotus, returning to the Enstone outfit for a second stint. Pilbeam earned a PhD in engineering whilst at university, and put his skills to good use immediately, joining Anthony Best Dynamics to work on some of their engineering projects. The move to Formula One came in 1998, where he joined BAR Honda for the following season, becoming race engineer for Jacques Villeneuve and Takuma Sato. After seven years with the Honda team, he moved across the Red Bull, as race engineer for Mark Webber. 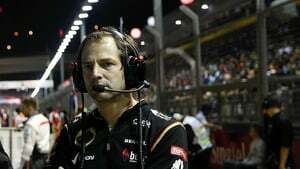 A promotion beckoned at Lotus, where he joined as Chief Race Engineer in early 2013, and after just over a year, he moved to the same role at McLaren, where he remained until the end of the 2016 season. With McLaren undergoing difficult times, and much focus on the Renault squad bringing back their manufacturing team, Pilbeam returned to the Enstone factory in the chief race engineer role.